This article is 2823 days old. Administration at the City of Windsor are recommending not to pursue the purchase of a former Catholic church on Riverside Drive. 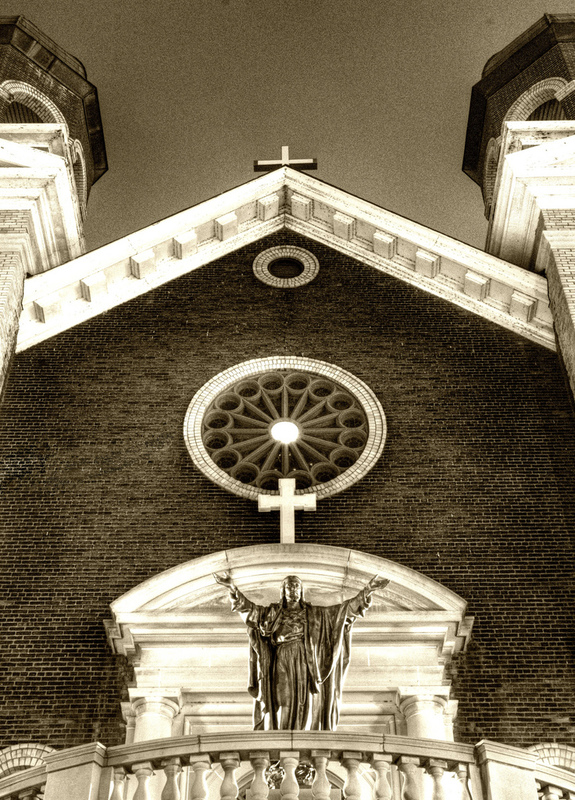 Our Lady of the Rosary, a staple of the Ford City area on Riverside Drive and Drouillard, was closed in 2007 and its fate has been unknown since. Back in 2009, the Diocese of London — the owner of Catholic churches in the region — put forth an offer for the City of Windsor to take possession of the iconic, early 1900′s Ford City cathedral for only a single dollar. City Council commissioned a study to determine the scope and costs to repair the building and prepare it for possible uses such as a community centre or a museum. The church was built-in 1907 after a fire destroyed the previous church on the site, Our Lady of the Lake. Designed in the “Renaissance Revival” style, it features twin belltower spires and a grand curving staircase visible from Riverside Drive. During prohibition in the United States, rum-running boats which crossed the Detroit River at night relied on lighted areas on shore to act as navigational beacons. An interesting rumoured tale: Al Capone, himself, paid for the replacement of burnt-out lightbulbs at Our Lady of the Rosary to allow for rumrunning to continue toward a lighted point on shore. After an extensive study that identified nearly $1.8 million dollars in necessary repairs, City of Windsor Administration is recommending that they are “not interested in pursuing acquisition of this facility”, and that “it is not the City’s mandate to purchase buildings…with no existing identified municipal use”. The fate of the building is uncertain, however the structure is protected under the Ontario Heritage Act. The matter goes to City Council for a final decision on August 8th. UPDATE: This was deferred at the August 8th meeting of City Council. It will now be debated on Monday August 29th.